If I can count and hit things can I play the drums? It’s a serious question. Last summer I bought a partial drum set. It came with a bass drum, chain driven pedal, 3 toms but no snare. 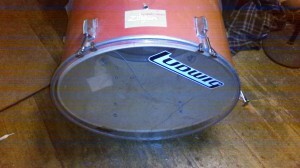 It needs new heads, and some hard ware. A high hat and a cymbal would be cool too. Even in its present condition It’s fun to hit the toms and play around with rhythm patterns. In fact the cat has started playing the kick drum with his tail. Since I don’t want to be shown up by the cat I really want to fix it up and learn actual patterns and fills. The time is now!. It will be loud and I will probably end up with a bruise or two. 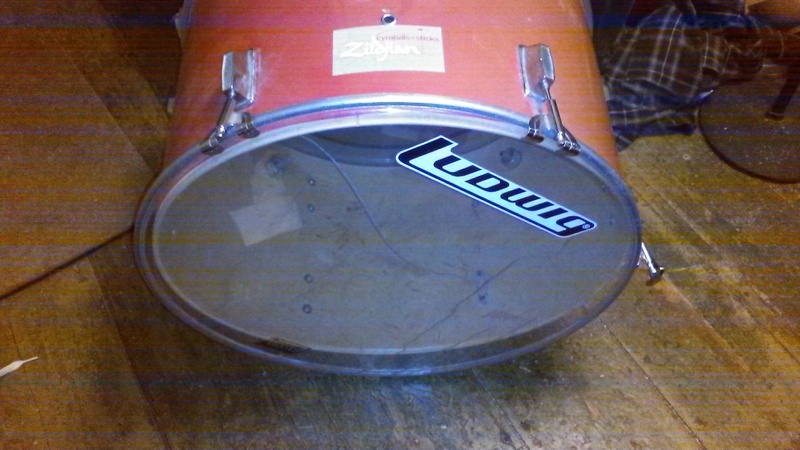 Does anyone have any tips for someone new to drum repair and drumming? Garlic fest was fun. I met a lot of people and sold a lot of pieces. It’s the largest festival I have done to date and it was definitely a learning experience. I learned that there is a garlic variety called music. It’s a mild garlic and it’s great in salad. I learned that people like trivets and puzzles. And It turns out a bounce slide is tall enough to cover the silo gap. So that worked out. It really was a lot of fun and certainly forced me to step up my game a bit. After garlic fest I jumped right back into the workshop to start some new things and finish some old things. I am working on a bench. I was given an outdoor furniture plans book from 1976 and it has some simple bench legs that can be made with my motley assortment of barn board, wood scraps and other odds and ends. I bought some old belts for $5 to use as edging on trivets and tables. I found two leather belts, two matching canvass belts and this weird stretch belt with brass coin like objects on it. I hope to give the coin belt an acid bath so it looks less shiny. 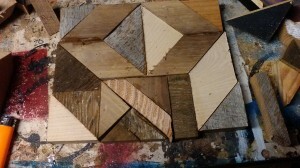 I am working on a new barn board mosaic, without a frame it’s about 8×9 or so. It will be 12×12 or so when I am finished. I like the pattern and the mix of wood. So far I have used walnut, maple, pine and cedar, and a few mystery pieces. I also started another mosaic fragment. 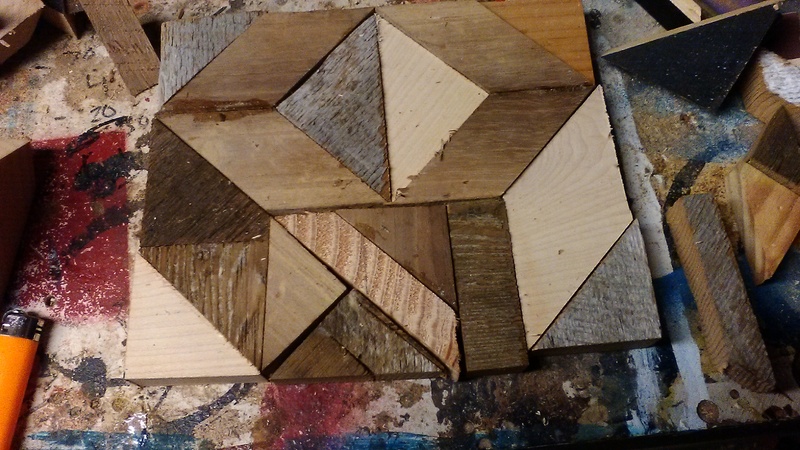 not sure if I will make it a trivet, a wooden wall quilt or something else entirely. I need to cut some pumpkins for Oktoberfest on October 8. Peace and Happy Harvest. This entry was posted in barn board, music, on-going projects, scrap wood, Uncategorized, wood working by brighid. Bookmark the permalink.